Mixed polished river rock 8-12mm for landscaping in miniature fairy gardens. Packaged in cute 8 oz. 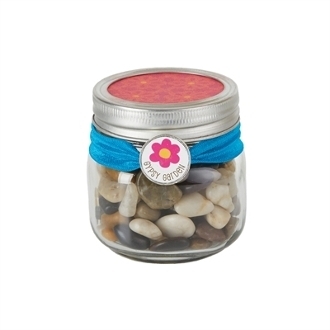 mason jar with elastic neck band.